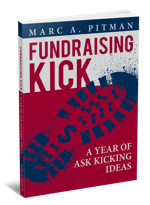 Chock full of practical, easy-to-understand fundraising tools and secrets, Ask Without Fear! is perfect for board members, nonprofit leaders, professional development officers, and everyone that wishes they could raise more money for their favorite cause! This special version of Ask Without Fear! 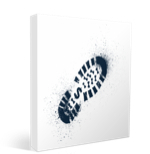 is perfect for anyone involved in fundraising or leading Christian ministries. Executive directors, pastors, people raising ministry support, and lay people will all appreciate learning why funding your mission doesn't need to mean selling your soul. This edition includes a chapter looking at the stories of fundraising contained in the Bible. “Ask Without Fear" is a Godsend for me as a musician, entrepreneur and communicator…[this] has given to giving me the heart and mind help that I need in this crucial area." Libraries are more important to our culture than ever. But making that case in a Google-age can be challenging. 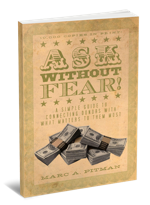 Ask Without Fear for Librarians is a completely revised version of the popular book Ask Without Fear!. 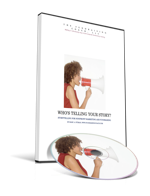 Written exclusively for librarians and library board members, this book gives you the strategy and exact phrases to use in asking for major gifts to raise more money for your library! 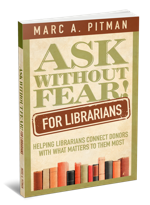 Learn more or buy a copy for yourself at Ask Without Fear Fundraising for Librarians. and even how to fire lousy board members! All those trainings are included with those immediately available now. 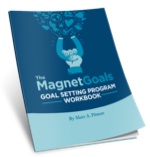 And members get a new training each month, a monthly coaching call with Marc, and access to a Members-only Forum to ask questions and help each other. 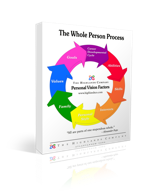 To learn more and to become a member, head over to http://TheNonprofitAcademy.com/. 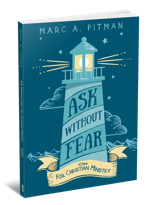 Ask Without Fear!® for Christian Nonprofits Recorded live during a seminar before the National Catholic Development Conference in Chicago, this hour long seminar is packed with practical tips, Biblical examples, and enough inspiration to get you fired up about asking for money! To see a list of topics covered, check out the Ask Without Fear! home page. Get the "bundle" to own the slides used in the presentation. Fundraising on the Web: it's more than just a "birthday wish"
Fundraising online is all the rage. 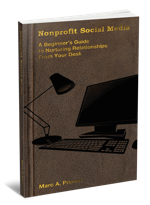 In a relatively flat donation environment, online giving is the only bright spot. While it isn't replacing other forms of fundraising just yet, it is an important part of the donation mix. And the benefits of having effective online giving are many: increased convenience for donors, ability to receive donations 24/7 from anywhere in the world, reduction in postage and printing costs. 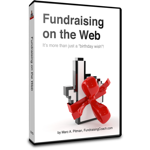 In Fundraising on the Web: It's more than just a "birthday wish", fundraising coach Marc A. Pitman shows you how to organize for a successful online campaign, regardless of whether you use Twitter, Facebook, Google+, or all of those tools. For more details, and to purchase a copy, go to Fundraising on the Web. free e-mail based support for a month. 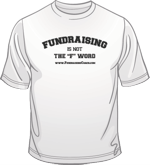 Fundraising is not the "F" Word T-shirt Fundraising is not the "f" word shirts and other gear are available at the "Ask Without Fear!" store on CafePress.com. Our guarantee: If you are not 100% satisfied with your purchase, I'll give you a full refund. And I'll let you keep purchase for free, with my compliments - that way, you risk nothing.